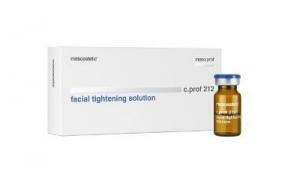 Formula withanintensivetighteningeffectdesigned to restorefirmness and counteracttheeffects of agingontheface. Itstimulatescollagen and fibroblastproduction in theareasaffectedbyloss of turgidity. Particularlysuitableforcheekbones, cheeks, facecontour and doublechins.